Planning your dream honeymoon? Or, perhaps you’re doing some research on the best honeymoon destinations in the world! Check out one of the many unique honeymoon destinations or choose the best undiscovered honeymoon destinations. We’re here to help you turn your honeymoon inspiration into a reality with our extensive honeymoon guides. Forget travel agents with their phony recommendations & inflated prices. Save your money and plan your honeymoon trip on your own! We’ve compiled a list and guides to some of the best honeymoon destinations in the world. Be inspired and inspire others to fulfil their honeymoon goals! We’ve visited so many unique honeymoon destinations throughout our honeymoon. Now, we want to share our unique honeymoon ideas with you! So if you’re anything like us and want a romantic trip of a lifetime, check out our top 10 unusual honeymoon destinations and unique honeymoon ideas. There’s a honeymoon destination tailored to suit every budget. From luxury honeymoon destinations to affordable honeymoon packages, there’s something for everyone. We’ve done a rough honeymoon budget calculator to determine if your dream honeymoon destination is realistic for your budget. There’s nothing more romantic than a getaway to some of the the most incredible honeymoon destinations around the world. Thankfully you don’t need to fork out a ton of cash to afford the honeymoon of your dreams. Forget travel agents, with their phony recommendations and inflated prices. 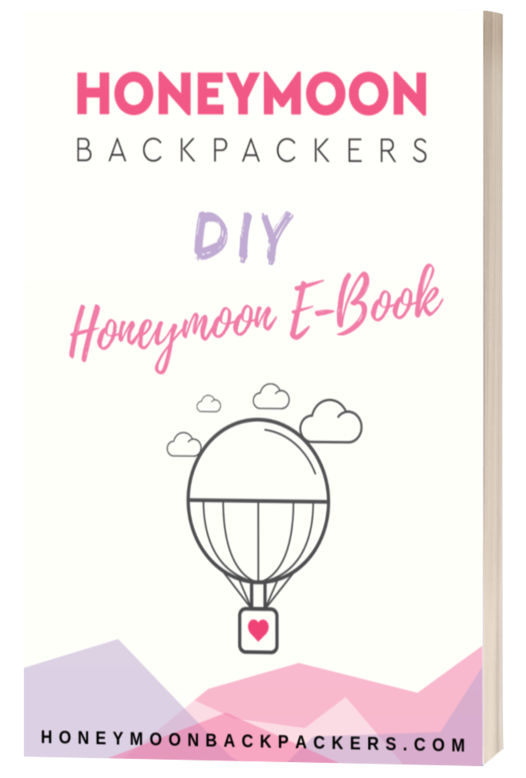 Have a DIY honeymoon and plan it yourself. This way your honeymoon is tailored to suit YOU & your lover!